Ready to give your website a makeover? Perhaps you want to make it faster or more visually appealing. WordPress plugins can help you do that and much more. Running a WordPress site or blog comes with its perks. This popular CMS powers more than 31 percent of all websites. It’s available in 62 languages and features over 56,342 plugins. Whether you’re a consultant, a web designer, or an entrepreneur, chances are there’s a plugin to meet your needs. These handy apps can streamline the most-time consuming tasks, from social media sharing to SEO and web analytics. Some are free, while others require a subscription or can be purchased for a one-time fee. Next, we’ll list and describe the best WordPress plugins for business. With these apps, you’ll get more done in less time! 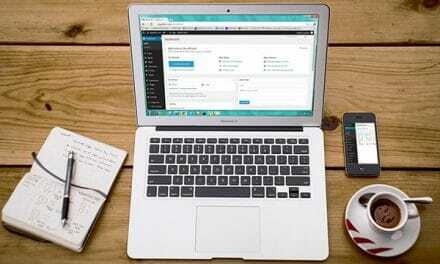 Why Use the Best WordPress Plugins for Business? No other CMS features as many plugins as WordPress. These apps allow you to customize your website easily without the need to do a complete revamp. Let’s say you want to maximize your SEO efforts and gain exposure for your business site or blog. 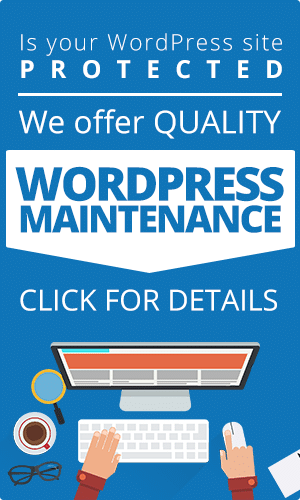 In this case, you can install WordPress SEO by Yoast or other similar plugins to create XML maps, optimize your metadata, or add a custom RSS footer to your posts. Furthermore, you can use plugins that increase page speed, detect broken links, or compress large files. What if you’re concerned about website security? There are plugins for that too. Check out WordFence, Sucuri Security, and All in One WP Security & Firewall. WordFence, for example, can detect and block malicious traffic in real time while protecting against brute force attacks. Other plugins can help with social media marketing, list building, customer engagement, copywriting, and much more. Some make it easier for customers to contact you. Others streamline payment processing and can take your eCommerce business to the next level. Now let’s take a closer at the best WordPress plugins for business in 2018! Think of JetPack as an all-in-one solution for your WordPress site. It integrates design, security, and marketing features, allowing users to choose from four subscription plans. The Premium version appeals to small businesses. It boasts over 100 free WordPress themes, daily automated backups, web analytics, and scheduled social media posting. This app also features malware scanning and spam filtering abilities as well as automated threat resolution. Search engine optimization is a must for any business, no matter its size or industry. It involves link building, content creation, keyword research, and other practices that can boost your websites rankings and drive traffic. Yoast makes everything a lot easier. This plugin requires users to choose a focus keyword. Then, it provides the tools needed to optimize your content and pages for that keyword before you hit Publish. Other powerful features include automatic internal linking, robots control, XML sitemaps, and more. Do you really know who your customers are and what they expect to find on your website? Leverage the power of web analytics to better understand your audience and its needs. MonsterInsights enables users to integrate Google Analytics into their WordPress sites, providing accurate insights. With this plugin, you can track your website’s visitors across all devices and platforms. You’ll know where they’re coming from, how they’re finding your site, and how much time they’re spending on each page. MonsterInsights allows you to see how your Google Adsense ads are performing so you can improve your marketing efforts and get the best value for your money. The live chat market is expected to grow by a whopping 87 percent over the next 12-18 months. More than half of customers use this communication channel before contacting a company by phone to require more information about its products. Approximately 62 percent expect this feature to be available on mobile devices. Live chat software doesn’t have to be expensive or difficult to use. All you need is the right plugin for your WordPress site. That’s where LiveChat Inc comes in handy. Big names like IKEA, PayPal, TED, and Adobe are using these plugin on a daily basis. It integrates seamlessly with popular online platforms, including WordPress, Facebook, Zendesk, and MailChimp. In addition to live chat, this plugin features a ticketing system, visitor tracking, and team management capabilities. Every conversation is encrypted, so you can stay assured that no one else will have access to your customer data. Users can even set up a two-step verification process and block credit card numbers from showing up in the chat window. In a recent survey, 87 percent of marketers said that social media marketing helps increase their exposure online. 78 percent stated that it leads to more website traffic. Respondents also mentioned benefits like customer loyalty, lead generation, accurate marketplace insights, and more sales. Social media marketing can take your business to a whole new level. A simple way to reap its benefits is to install Social Warfare on your site or blog. This WordPress plugin features both a free and a premium version. The free version includes eye-catching social sharing buttons, social share counts, click-to-tweet quotes, and shortcodes. The premium membership allows for greater customization, analytics campaign tracking, button click tracking, and more. There is also a third version for online businesses that rely on affiliates to promote their products. This tool will turn any page on your website into an affiliate link. 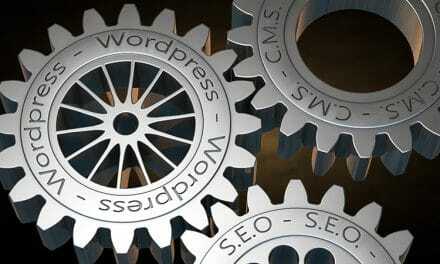 Now that you know what the best WordPress plugins for business are, give them a try. Make sure you also check out Constant Contact, OptinMonster, iThemes Security, and WooCommerce. Consider your niche and type of business when choosing a plugin. For example, if you sell products online, look for WordPress eCommerce plugins. These will allow you to add custom shopping carts and payment buttons on your site, optimize product descriptions, or manage your inventory more easily. Get in touch with us to learn how to get the most out of WordPress and grow your online presence! 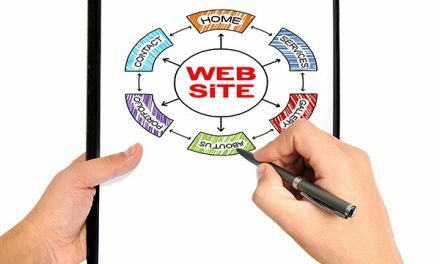 We can assist you with every aspect of web design, search engine optimization, and website hosting! 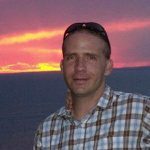 Dustin Reed, is the owner and senior web technician for Innovative Solutions Group. He graduated in 2011 with an Associate’s Degree in Web Design and Computer Programming with a 3.78 GPA, demonstrating that he has taken this education and experience very seriously. He takes great pride in the fact that he truly enjoys doing what he does best, Building Professional Websites!During his 5 years working at Innovative Solutions Group, he has been responsible for many different aspects of the business ranging from creating new accounts/domains on Innovatives server to responsive(mobile-friendly) template creation. Some of his other responsibilities/strengths are WordPress website design, CSS/HTML coding, creating visual animations using Jquery, page layout, and troubleshooting many different types of problems that may arise.When he is not busy working at Innovative Solutions Group, he enjoys doing all of the great outdoor activities that the beautiful state of Montana has to offer. Such as, fishing, camping, hiking and enjoying a day at the lake during the summer. Work was done in a very timely matter and Dustin was great to work with! I used Dustin at Innovative Solutions to initially just host my website. After working with him I decided to do a pretty significant makeover on my site. He did a great job, was super responsive and has Fletcher in the Design Department to help with graphics and such. He answered inquiries after hours and is very reasonably priced. I have used quite a few web people over the years and Innovative Solutions is undoubtedly who I will continue to use. Super helpful! From the very beginning the designer was patient and offered great suggestions. Very customer friendly. They wanted the site to be perfect for me. Also, ease of billing. Thank you for creating a great site. I owned the company for over 20 years, and Dustin treats customers in a very courteous and professional manner. That why I'm going back to Innovative for help with our latest personal web project. Fantastic service and very quick responses to any problems or feedback! Extremely helpful despite being out of country. Please fill out the form below and we will provide you with a free quote, or contact you if we need more information to provide a quote. Disclosure: We may be an affiliate for some of the links on our site. This means we will receive a commission for any purchases made through the links.